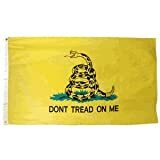 12" X 18" dyed nylon state flag professionally sewn and finished with a strong canvas heading and brass grommets. 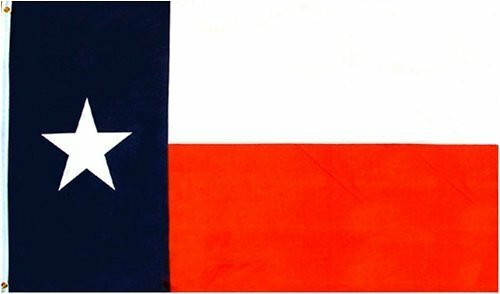 Texas passed its Flag Act in 1933, describing the exact specifications for its flag. The Flag Act named blood red, azure blue, and white as the official colors, and outlined the exact location of the lone white star. The white star resides on a vertical blue stripe at the hoist. The remainder of the flag is two horizontal stripes, white over red.